The best Italian food will have ingredients that are bought in season. That way, it will be made fresh and it allows the chef to not overcompensate with an overabundance of salt, pepper or other spices. Fresh ingredients are also richer in nutrients, meaning they are much better for you. 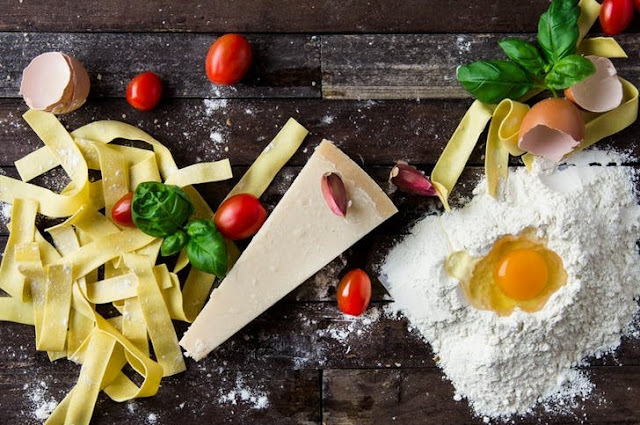 Moreover, ask any individual with Italian Heritage and they will tell you: Italians love to shop around for the best ingredients for their dishes. An Italian will definitely be able to tell you if it is good dish simply because they know how to separate the real stuff from just the pretend stuff. When cooking your Italian food with pasta, it really is better for everyone involved if you only allocate 120g of it per person. This is because many novice Italian chefs will cook the whole bag of pasta and throw it all in the dish. This causes people to fill up on pasta alone without enjoying the other satisfying tastes presented from the entree. Moreover, you really should cook your pasta moderately, because that way in the pasta will still satisfy the person and leave an appealing taste with pasta that is not too soft but not too hard either. Olive oil is much better for you than regular cooking oil and it also makes the Italian food taste that much better. Many novice Italian chefs make the mistake of cooking with butter or margarine when they should consider cooking with Virgin Olive Oil. One of the main reasons for this would be because olive oil is high in good, monounsaturated fats, Omega-3 compounds and other types of antioxidants. When making a homemade Italian Dish, it can be tempting to put ordinary grated cheddar or whatever you might already have on hand in the refrigerator. However, if you really want your Italian food to shine, you need to use a cheese that is versatile. Some examples of versatile cheeses would include such brands as aged Asiago, blue cheese, ricotta, beta, aged provolone or Monterey Jack. Moreover, if an Italian restaurant is worth their salt, they will know all about what types of cheeses to include to make a solid dish. One such restaurant would be Mascalzone's Italian Restaurant. Their expert cooks know how to incorporate the most unique cheeses in their entrees. Finally, making your own sauce will definitely make your Italian food stand out from other half-hearted attempts. It will give your Italian food, it's very own taste and it will also be better for you than the typical pre-made pasta sauce. Making Italian food is not as easy as it looks, but with the proper training and practice it can be done. There are plenty of books, training videos and experienced Italian chefs who will take you under your wing and help you make only the best dishes. If you follow the above tips and keep practicing, you will be able to make Italian food that will literally be the envy of everyone in the neighborhood.